This moment is short but sweet. 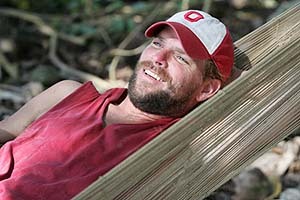 Chris Daugherty and Twila Tanner are the final two players in Survivor: Vanuatu. They have reached the end of a very dramatic and tense 39 days, it's officially their last day left in Vanuatu, and that means they can sit around and do nothing all day if they please. Chris and Twila. Final two. 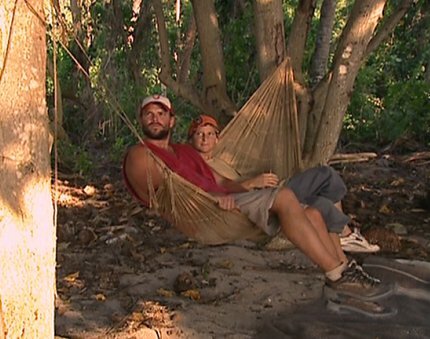 Since there is nobody left to bug them or get on their nerves, Chris and Twila decide to take it easy and enjoy their final day before they have to face the jury later tonight. Rather than work around camp and bust their butts like usual, they decide they're both going to just relax today. And the best way to relax around Camp Alinta is to lay down in the communal hammock. So Chris and Twila hop up in the hammock together. And they start reminiscing about their time here together in the game. And that's when the unexpected happens. That's when the rope breaks, and the hammock comes crashing down to the ground. I love the look on Chris's face here. Wait a minute, am I too fat for this thing? I love this moment. It's just pure, unadulterated, unexpected, completely random slapstick. 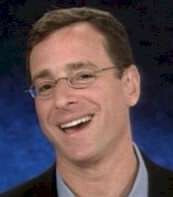 If Bob Saget were watching at home, he would have been very, very happy indeed. P.S. Surprisingly, this isn't the only appearance by the Yasur hammock on the Funny 115.